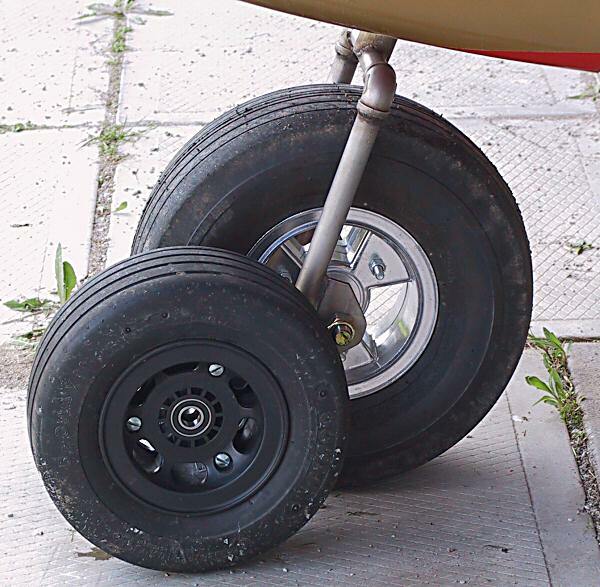 The tundra nose tire is a Cheng Shin 15x6.00-6 (4-ply with tube) on a Quad City 6" aluminum rim. This fork was custom made of stainless steel pipe sized to accommodate the tire and set the airplane in a slightly nose up attitude. On all Challengers shipped to Canada since the fall of 2009 the standard nose is an oversize 6" fork along with a 6" aluminum rim wearing a 13x5.00-6 tire.